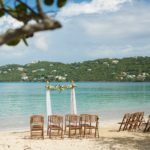 Irie Matrimony Weddings + Events is a St. Thomas Wedding Coordinator company. Irie is derived from a Jamaican word, which literally means ‘alright.’ It is used in the islands to express that you are content and at total peace with your current state of being. 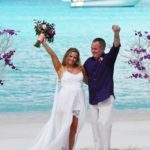 We are experts in designing and coordinating St. Thomas weddings and events, located in the beautiful United States Virgin Islands. We can help you with everything from the coordination and designing of your St. Thomas Wedding from the very start to the very finish. Visit our services page for more information! We look forward to hearing from you and planning your dream St. Thomas wedding or event! Do you need to add swag to your wedding? Chairs, Arch, Fabric, etc.? Click for an idea of what's available and to get pricing! Check out real weddings by Irie Matrimony to help with ideas for your big day! Your dream wedding is a click away! 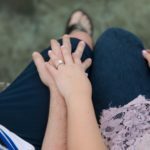 I can’t wait to talk to you about your plans to make this day one of the best days of your life! "I can not say enough about how wonderful Laysha Powers is as a wedding coordinator. 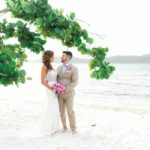 From just sending her pictures of my weddings ideas and themes she was able to decorate the villa and beach to turn both sites into our dream ceremony and reception." "Laysha at Secret Harbour in US Virgin Island was absolutely amazing! She was so attentive and helped me plan the perfect wedding from miles away! She made the process so easy, that I honestly don't think I'd be able to have done it without her!" "I can not express how fabulous Laysha was. 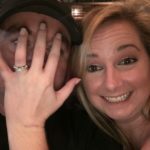 She helped me plan my wedding in 3 months from New Jersey via email. Everything was beyond perfect. 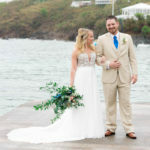 She made my destination wedding in St. Thomas better than I could have ever imagined." 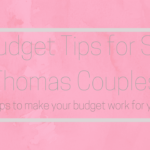 grab your free copy of the st. thomas wedding budget planner worksheet!